In the previous post, we talked that how to add leading zeros in the front of a number of text string. And this post explains that how to keep leading zeros as you type in excel. How to prevent automatic truncation of leading zeros in excel. How to remove or delete the leading zeros. 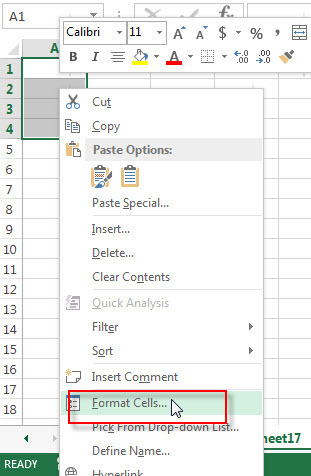 Assuming that you have a list of zip codes in your worksheet, and when you type the zip codes that contains leading zeros, the excel will truncate the leading zeros automatically by default. Such as, you try to type a zip code like “00010086” in a cell, and it will change to “10086”. 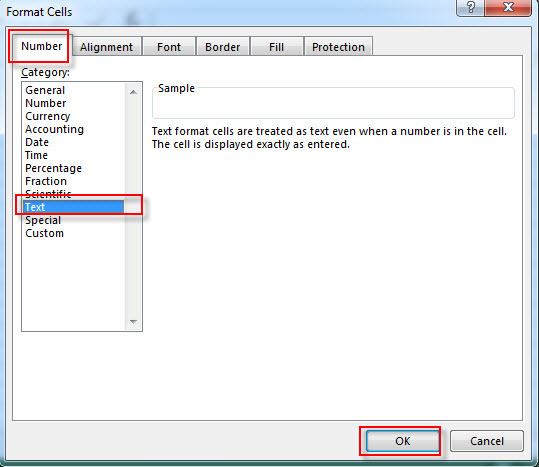 1# select the range of cells that you want to type the zip codes that contain leading zeros. 2# right click on the selected range, select “Format Cells” from the pop-up menu. The Format Cells window will appear. 3# switch to the Number tab, then choose Text from the Category list. Click OK button. 4# let’s see the result. Note: you will see a small green triangle in the top-left corner of the cells with leading zeros, it indicates there are some errors with the cell contents. If you want to remove it, you need to select the cells, then click the warning sign, next to click “Ignore Error” from the pop-up menu. There is another way to keep leading zeros as you type, you just need to insert an apostrophe in front of the number you type. And the apostrophe character will not be displayed in the cell, but excel will treat the contents of the cell as text format. If you have a list of phone number with leading zeros, and all numbers are treated as Text format by Excel. 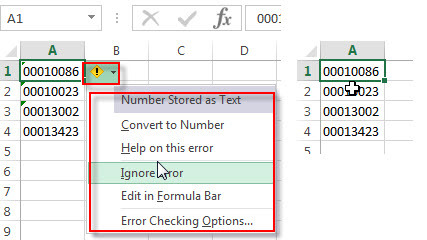 if you want to remove all leading zeros in the front of the phone number in a cell, you just need to select the cell, click exclamation point, then select “Convert to Number” from the pop-up menu. Or you can use the VALUE function to convert the text to number. 1# click on “Visual Basic” command under DEVELOPER Tab. 2# then the “Visual Basic Editor” window will appear. 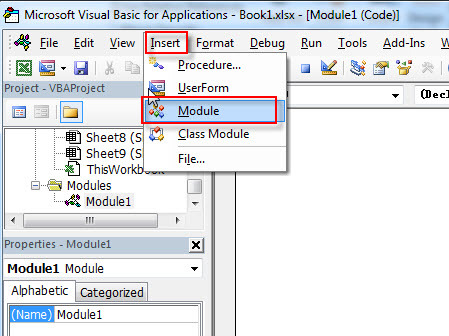 4# paste the below VBA code into the code window. Then clicking “Save” button. 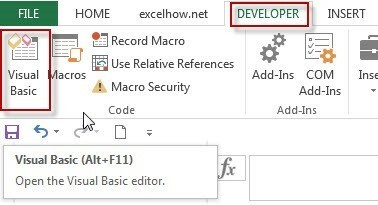 5# back to the current worksheet, then run the above excel macro, select the range that you want to delete leading zero. 6# click “OK” button, you will see that all leading zeros have been removed in the selected range.